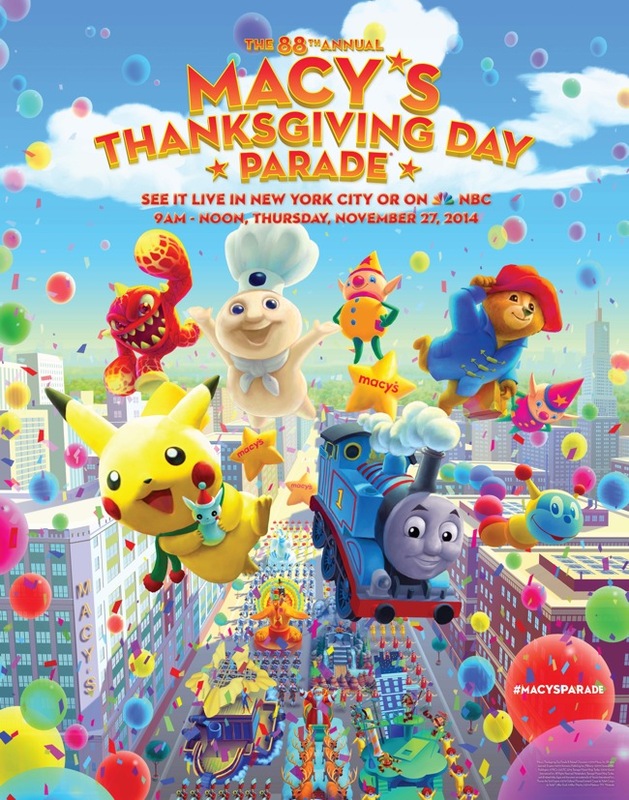 The Biggest Balloons Ever will fly in the Macy’s 88th Thanksgiving Day Parade. 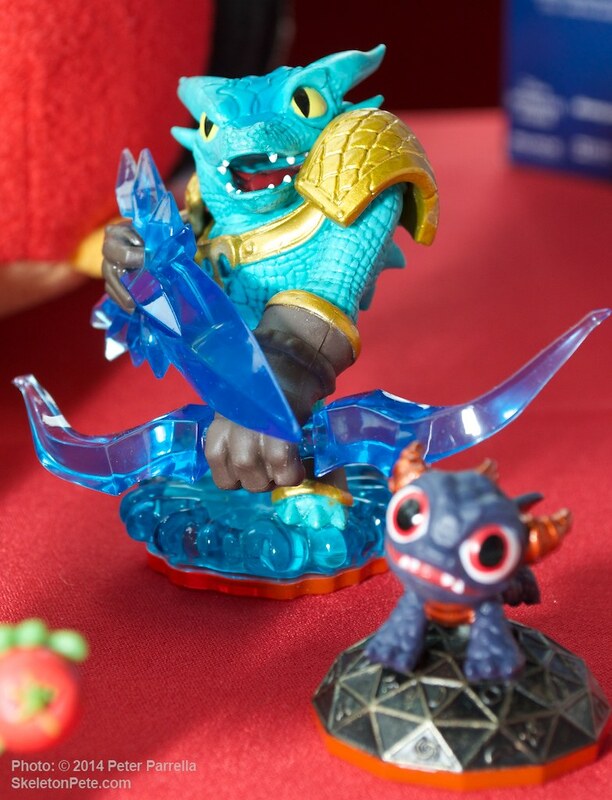 Activision Skylanders fans will be looking skyward for real this coming Thanksgiving Day as one of their favorite characters from the interactive toy and screen based game world will invade the 88th Annual Macy’s Thanksgiving Day Parade. 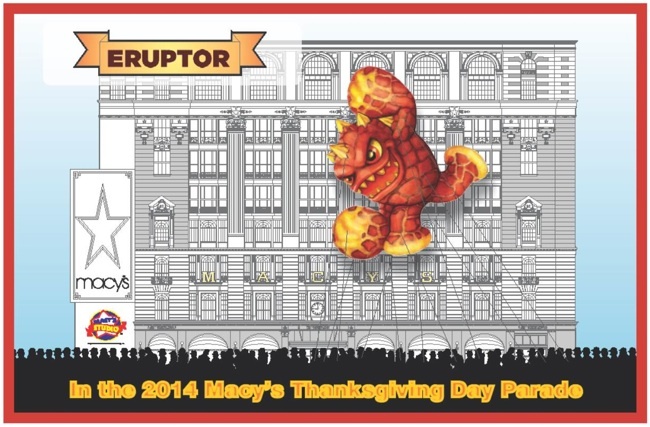 Eruptor, the always ready-to-blow-his-top ball of lava, will fly high over the streets of New York City as one of Macy’s Thanksgiving Day Parade balloons. 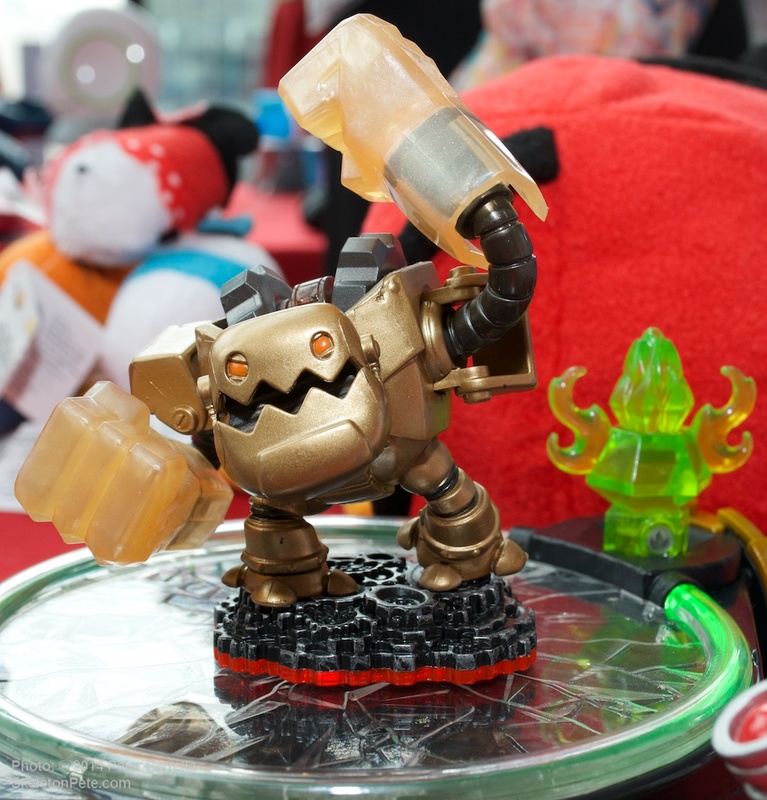 He’ll join a new fleet of largest-ever helium inflatables with massive dimensions of 50′ long, 36′ wide and 36′ high. 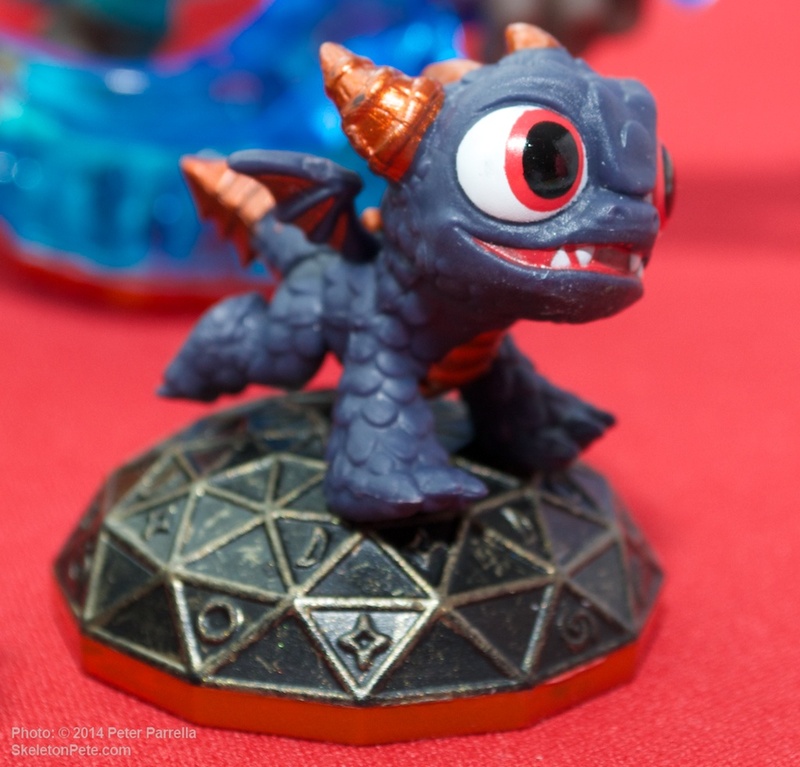 Macy’s notes, “…artists used more than 40 gallons of florescent paint and five barrels of glitter!,” to get Eruptor’s smoldering countenance just right. The balloons got a successful test run on November 9th 2014 in the parking lot of New York’s CitiField sports arena. The parade kicks of Thanksgiving morning (Thursday November 27th, 2014) at 9:00 AM. If you can’t be there in person you can catch it broadcast on the NBC network. 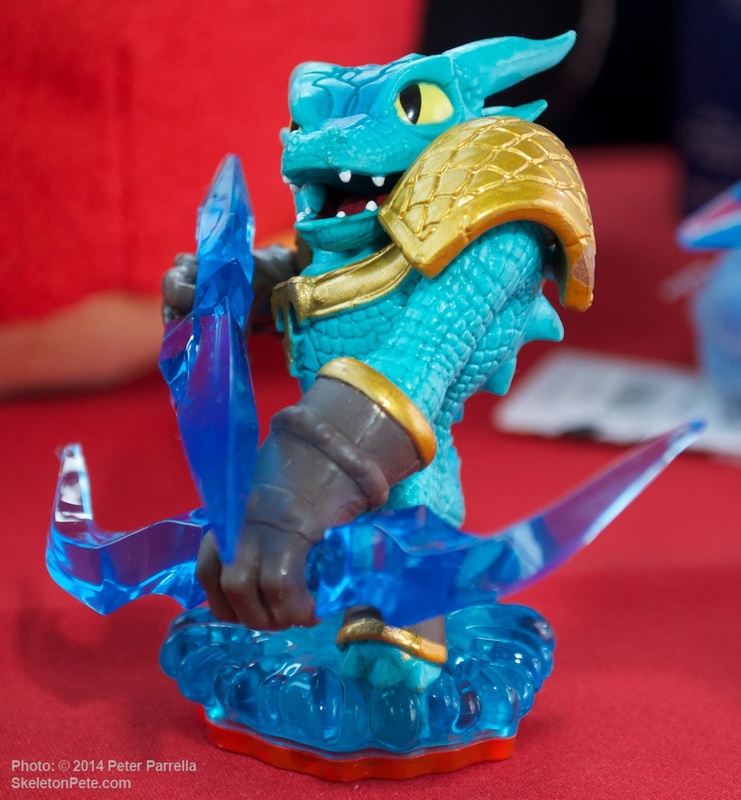 Artist’s Concept for Skylanders Eruptor Balloon. 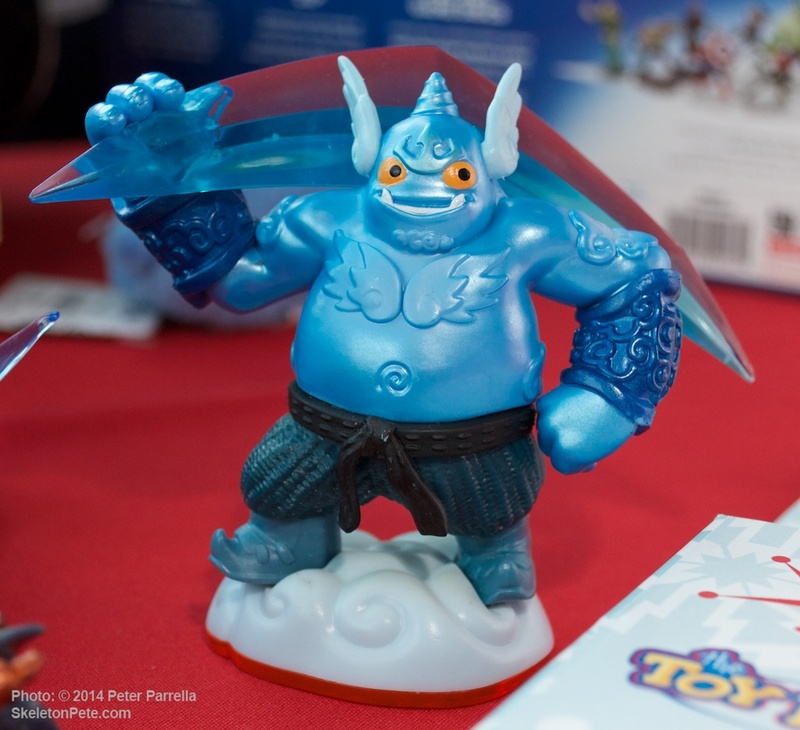 “Six new giant characters will take to the sky including The Weinstein Company’s loveable Peruvian bear Paddington; the always electrifying Pikachu; the warm giggling Pillsbury Doughboy; the vanquisher of evil the Red Mighty Morphin Power Ranger; the lava spewing Skylanders Eruptor; and the friendly locomotive Thomas the Tank Engine. 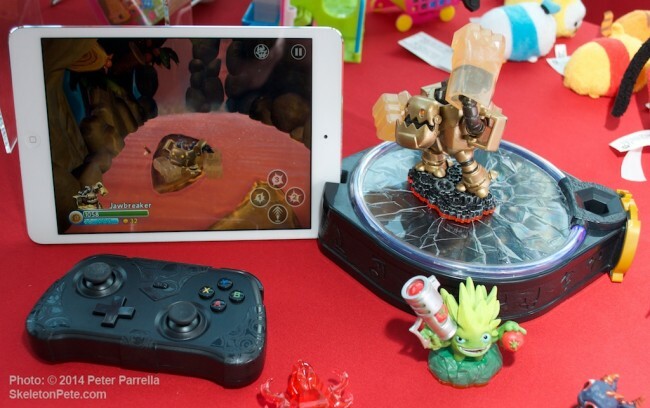 Going Mobile: Skylanders Trap Team Kit for tablet devices. 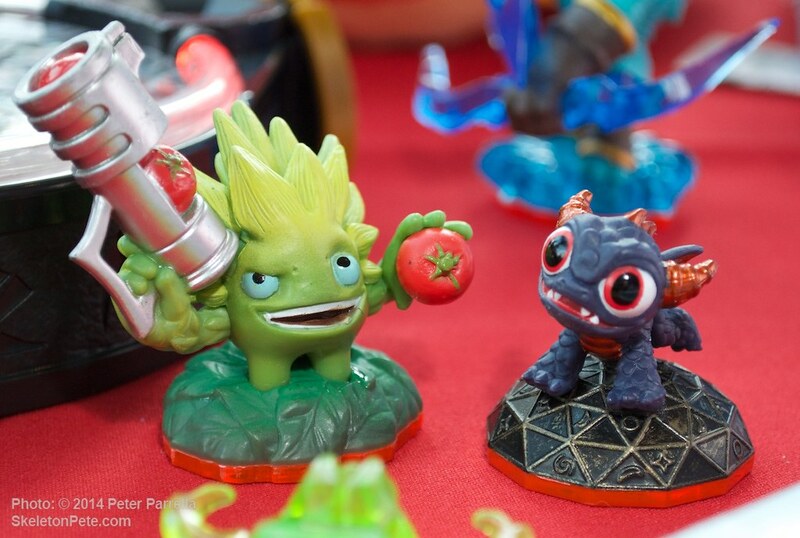 Activision has just launched the newest iteration of the world wide Skylanders franchise called Trap Team. Their tablet based mobile version was featured in Toy Insider’s “Hot Top 20” Toys for the 2014 holiday season. 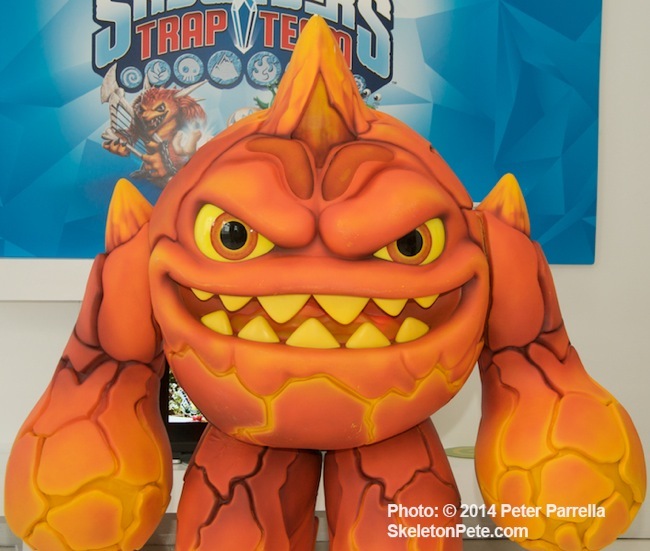 A closer look at Trap Team game play can be read in our previous coverage. 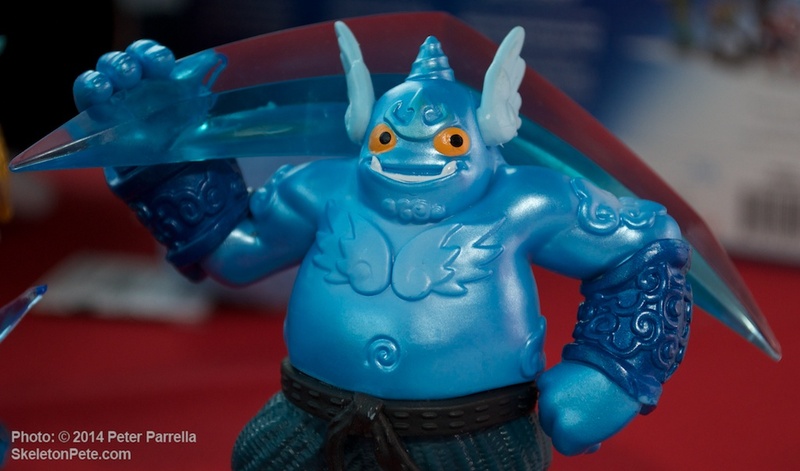 It’s Clobbering Time: On Thanksgiving Day 2014 this guy will be dwarfed by his Macy’s Parade balloon big brother.